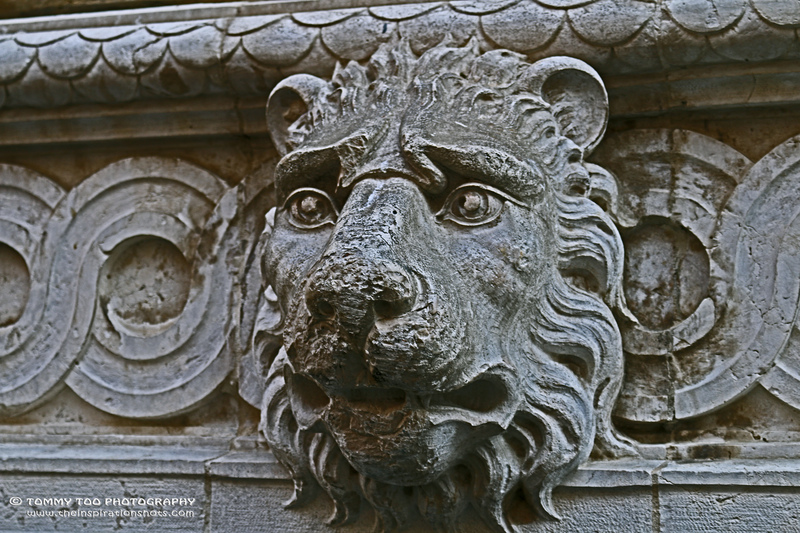 Venice – Lion of St. Mark, became the symbol of the St. Mark because his Gospel begins like that:” remember the voice of the Baptist in the wilderness, rises like a roar, announcing the coming of Jesus to men, the lion quickly became also the symbol of the Serenissima. In Venice the symbolism of the lion of St. Mark comes from an ancient tradition, according to which St. Mark’s going to Alexandria in order to convert the infidels of that country, on a dark stormy night, his ship was boarded, seek shelter in one of the fishermen’s huts on the island, “called Rialto”. After a frugal dinner with the fishermen the saint leaned on the ground, fell asleep and in the dream he saw an angel ” of a winged lion form ” who thus spoke to him, “On this island, a wonderful city will rise and in this great day you will find your final resting place, and you will find the final ( Peace to you, Mark, my evangelist. shall rest here your body)”. Mark woke up in the morning and told his dream to the fishermen, before setting sail again to the Egypt, where he died. The body of St. Mark was smuggled by two venecians traders, in a basket of vegetables and pork, to escape of the Muslim guards. One story tell us that when they arrived in Venice from Egypt, Alexandria (where Mark had founded the first Christian church), in the year 828, a huge crowd waiting for them, and when they set foot on the ground, an intense scent of roses spread to the pier. Posted on April 16, 2015, in Photography, Travel and tagged #photography, #travel, Venice. Bookmark the permalink. 4 Comments. I think this might be on tha front of Pasadena City Hall as well. I will have to double check..